1/16 Tank Tread Plate (45 large dot) PP-03 Discounts Apply ! ABE03 - 1/16 Tank Tread Plate (45 large dot) PP-03. 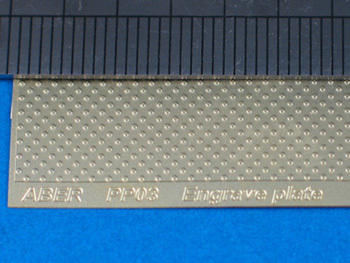 Engrave plate, pattern 03. Size 3.46" x 2.24". Also known as PP03.